The satisfaction of blasting clays to smithereens with a big shotgun combined with the noise, smell and kick have made this activity a favorite with hen parties. Clay Pigeon Shooting in Bournemouth can be combined with Quad Biking, Off Road Buggies, Blind Steer Driving and Paintballing. 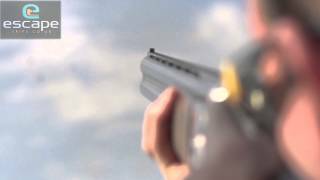 View our Clay Shooting £44 video and get an idea of what to expect on this activity.